Part I of Dr. Jeff Werber's three-part series on end-of-life issues for pets focused on when to say goodbye. Now, Dr. Werber focuses on the difficult subject of euthanasia. For more from Dr. Werber, find him on Facebook or on his website at www.drjeff.com. In Part I of this series on pet euthanasia we discussed when the right time might be to say goodbye to our beloved four-legged friends. In this segment I want to share with you some of the specifics about the process. When I first started practicing 29 years ago, euthanasia was, at least in our practice, always done at the hospital—and often in the back without the pet parents. The tears were shed and the goodbyes were said in the examination room, and the pet was then taken to the back and put to sleep. Sure, on occasion, an owner requested to stay with their pet, but it wasn’t commonplace. Our attitudes have changed quite a bit since, and now, I believe, most pet parents choose to stay with their pets until they pass on. However, this is a highly personal decision. While each veterinarian's office has a slightly different procedure, your veterinarian will do all he or she can to reduce stress on your ailing pet. Often, we will take the pet, place a catheter, administer a sedative (if necessary) to calm any fear or anxiety, bring your pet back into our “grieving room,” place your pet on your lap lap or onto a bed, and then, when all are ready, administer that final injection. Many veterinarians will also make a little clay mold of your pet’s paw print and snip a small tuft of hair to give to you client as a memorial. I clearly recall an incident that happened very early in my career where a client of ours, an elderly woman who lived alone, called us about her very old German Shepherd dog who was no longer able to get up, was in pain, and she felt it was time. The problem was that she had no one to help her get her dog into the car to bring him in. Understanding how difficult this decision must have been for her, and hearing her own distress over her predicament, I asked if she would mind if I came to her house after work, put her poor friend to sleep at home, and then took the body with me back to the hospital for cremation. OMG, she thought I was a Godsend, and couldn’t have been more appreciative. Well, I must say, this experience was a true eye-opener for me as well, and one that changed me, and my perspective about euthanasia forever! When it comes to our pets, we all tend to anthropomorphize, to put our own feelings and values into our pets. 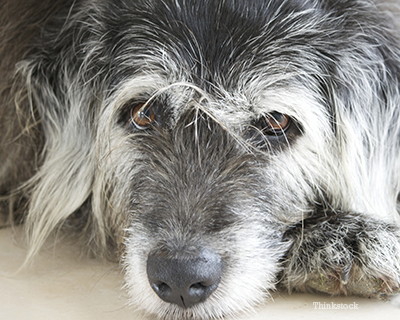 We do or don’t like something, so we tend to say our pets share those same feelings. As veterinarians, we always try to guard against our clients doing this, because, in actuality, we don’t know what our pets are really feeling. When it comes to euthanasia, even I tend to anthropomorphize. Don’t know why, I just do! So, here is where I break my own rule—do I really want my beloved patient to feel any fear or anxiety being in a warm, but sterile, hospital, in surroundings that have possibly been anxiety provoking in years’ past, on this, their last day on this earth—in this life? Having gone to that home to put that dog to sleep, with his favorite person by his side holding and loving him, lying on his favorite bed in his favorite room, the answer was clear to me. It was then that I started offering in-home euthanasia to my clients—a service that I’ve continued to offer since. Personally, I believe it is, quite literally, the right way to go, which is why I didn’t think twice about putting my Woody to sleep at home when that time had come. Now having done dozens and dozens of in-home euthanasias, the whole experience has changed for me. Of course it is still sad and tearful, but as we sit around with family and friends, reminisce of good times past (sometimes over a glass of wine), and share fond memories, the process becomes one of celebrating the life more than one of mourning the loss. Actually, it has become a more beautiful experience for all. In-home euthanasia may not be for everyone, and I understand that, but if you’ve never experienced it with one of your four-legged loved ones, next time, when that difficult time comes (and I hope it’s not for a long while), you might want to consider it. If your own veterinarian doesn’t offer this service, there are now many veterinarians or services in most cities that do offer House-Call Euthanasia. If that time is near, my fellow bloggers and I here at the Pet Health Network would like to, in advance, offer our sincerest condolences. We all truly know what you’re going through. How Does My Vet Handle My Pet's Remains? Another very personal decision at this difficult time is what to do next -- private burial, private cremation, or communal cremation. Pet cemeteries do exist in many cities, but are often far off the “beaten path” and are often very expensive. Over the years, I’ve had quite a few clients choose to bury their pets in these cemeteries, but have found that after a few “visits,” the geographic challenges became too great, and they stopped going as frequently. Most cities and municipalities prohibit burying a pet on one’s own property, but some do it anyway (of course no one that I know!). The next option that most clients opt for is cremation. It seems that many, if not most, choose to have their pets cremated individually so they can get the ashes back, which many will then bury in a special spot in their yard, spread out over their pet’s special “place,” or simply keep in a safe place in the home. For those who don’t want the ashes to help memorialize their pet, opting for a communal cremation may be ok (which is often less expensive). For this group, the paw print clay mold that we make seems to be a real favorite. Whatever decisions you make, they are all personal ones, and there is most often no “right” or “wrong.” If you ever need help or someone to talk to, grief counselors specializing in pet loss are generally available in most areas. In Part III, coming soon, we’ll talk about when might it be right time to get your next pet.